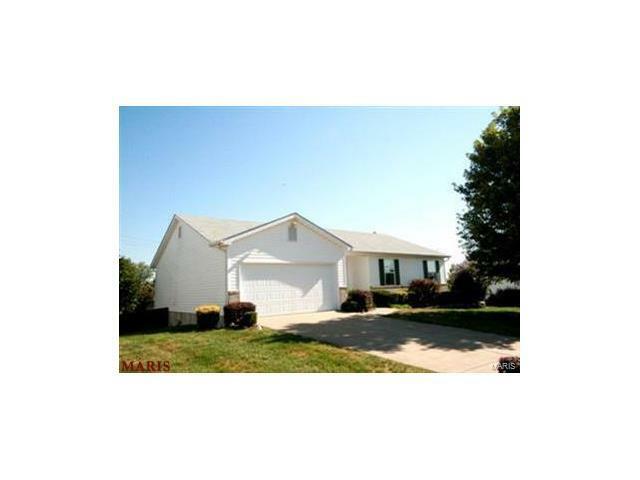 You will love this 3 bedroom 2.5 bath home with large fenced in lot in Dardenne Prairie! Walking into the home you are greeted with a large vaulted living room with vaulted ceiling and gas fireplace! Your living room opens open to a breakfast room and kitchen! Your kitchen is spacious with breakfast bar and large pantry! You have a large deck off your breakfast room that leads to your over-sized level fenced lot! Your master suite is spacious with full bath and large walk in closet! Your other 2 bedrooms are very spacious! Your lower level is ready to be finished and already has a half bath and built in shelving! Do not forget it walks out to a patio and your large lot! All of this just seconds from the page Ext, Hwy 64 and the Shoppes at Hawk Ridge! All for under 175k! Stop by today! You will be glad you did!